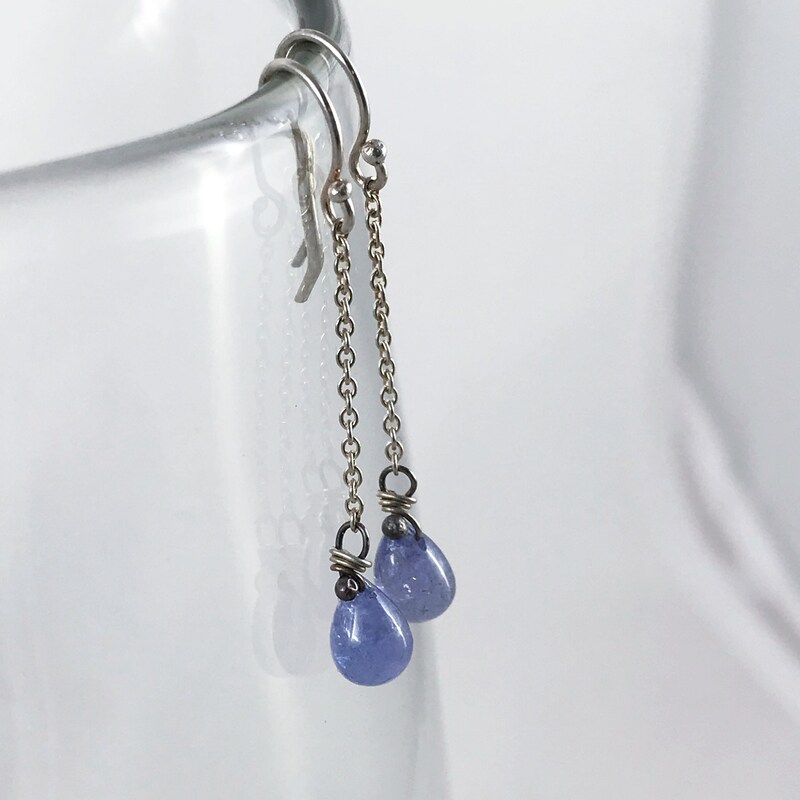 Dainty little genuine periwinkle blue Tanzanite teardrops. Set on torch fired sterling silver loops and dangling from sterling silver chain and earring hooks. 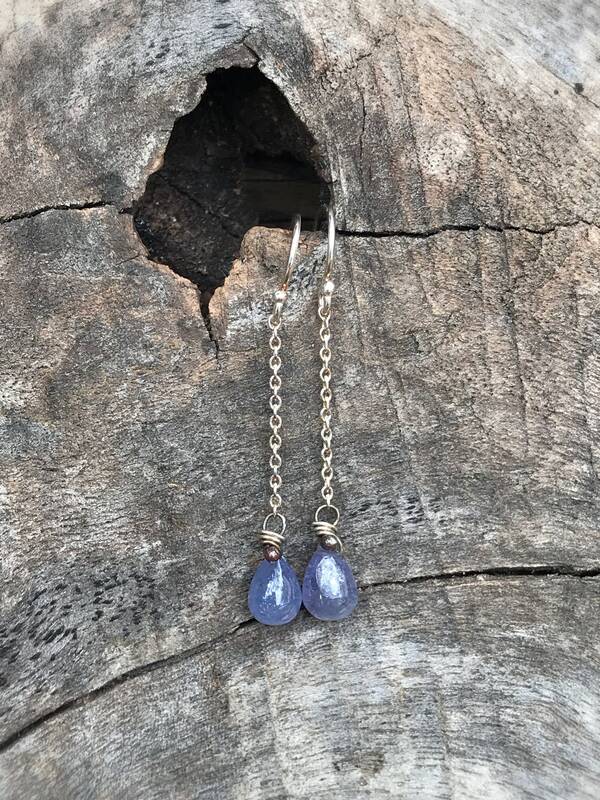 These earrings are one of a kind, you'll receive the exact pair shown in the photos. 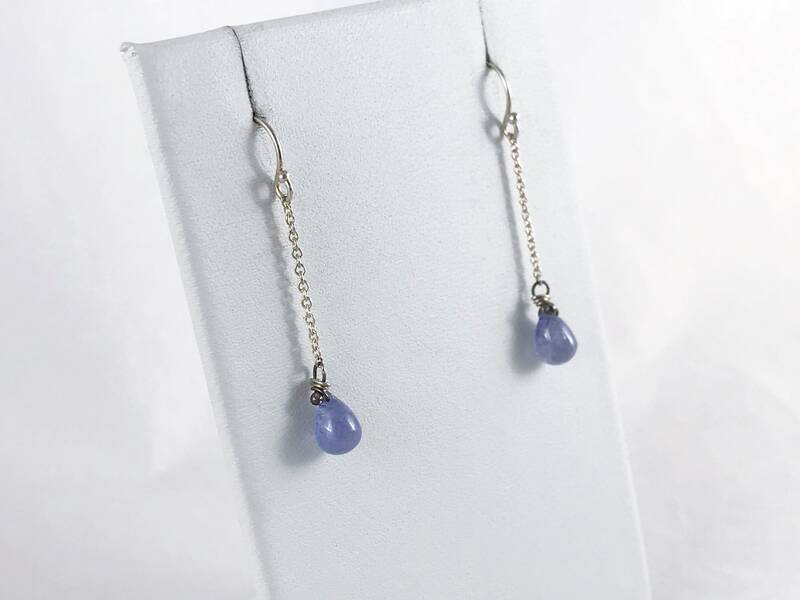 -Genuine Tanzanite teardrop stones, soft periwinkle blue in color with beautiful inclusions. 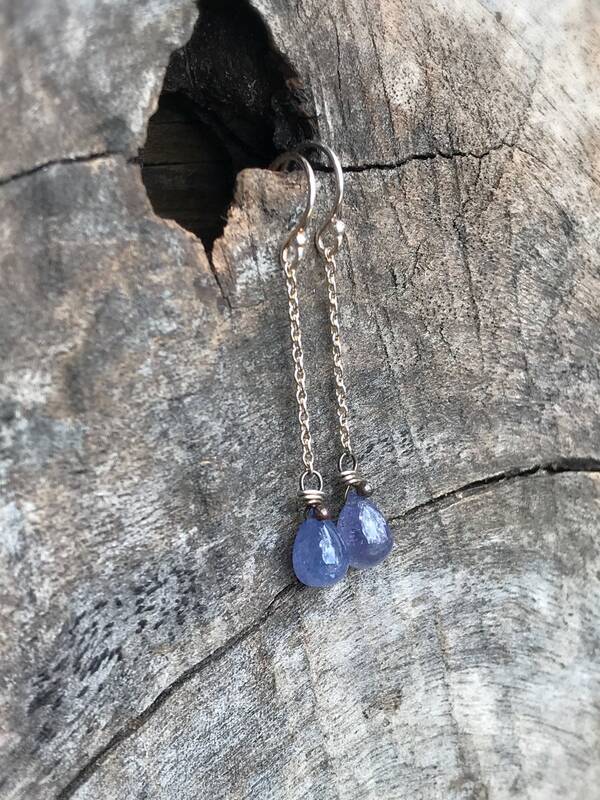 -Earrings are a total length of 38mm (1 1/2") from the top of the earring hook to the bottom of the teardrop and 5mm (just under 1/4") at the widest part of the Tanzanite drops. 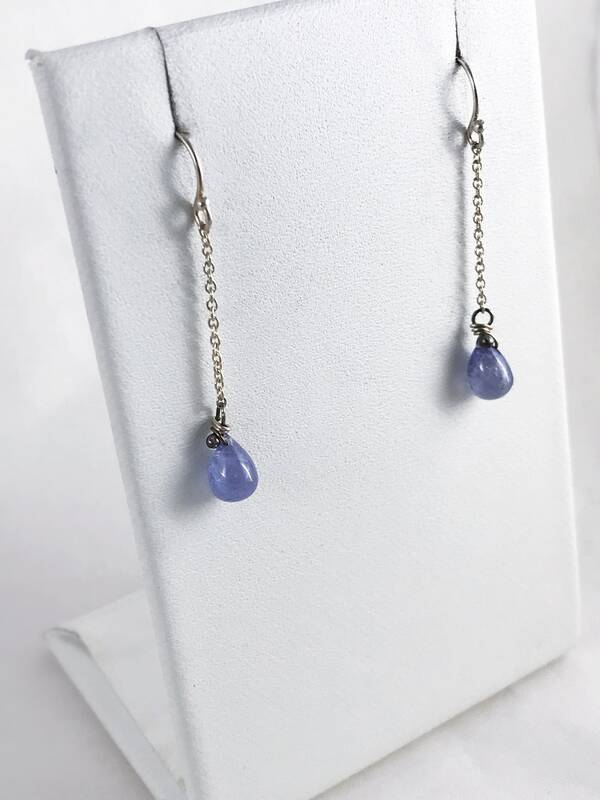 -Tanzanite stones measure 7mm (1/4") length and 5mm (3/16") width at their widest point. 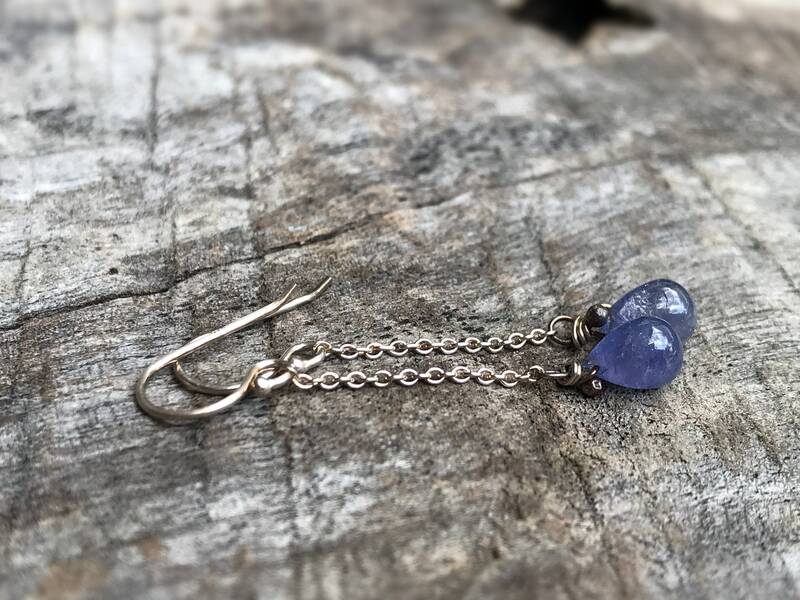 -Solid sterling silver torch fired headpin loops connect drops to solid sterling silver chains. -Headpin loops are left darkened from torch firing to add contrast and visual interest. 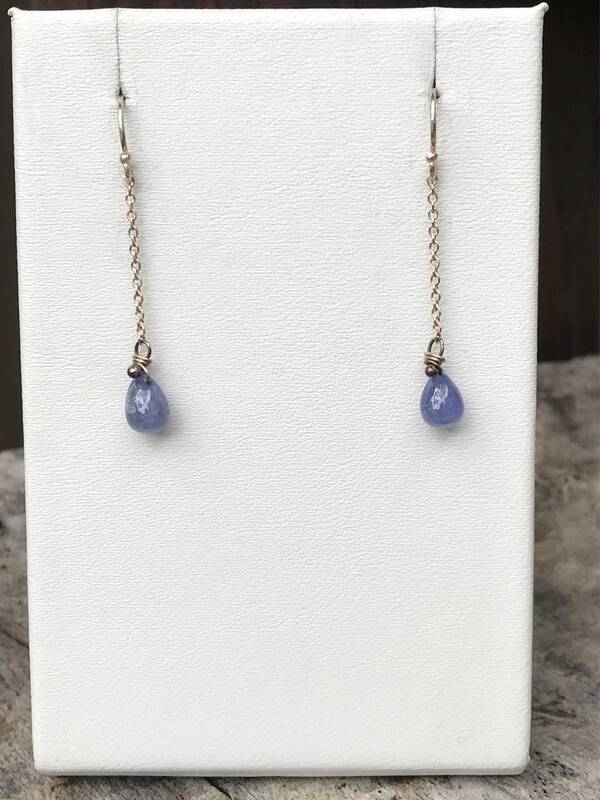 Tanzanite formed some 585 million years ago but was only discovered in 1967. It is found in only one place in the world, the Mererani Hills of northern Tanzania, near Mount Kilimanjaro. 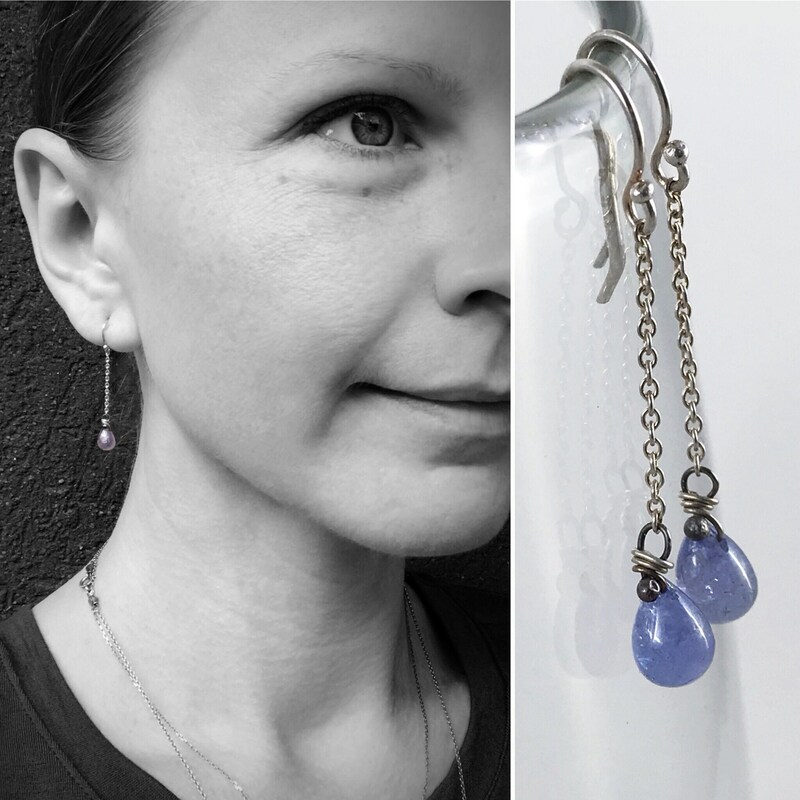 Tanzanite is pleochroic, meaning it shows different colors depending on the viewing angle. It ranges in color from ultramarine to sapphire blue. Under artificial light, it may appear more violet. 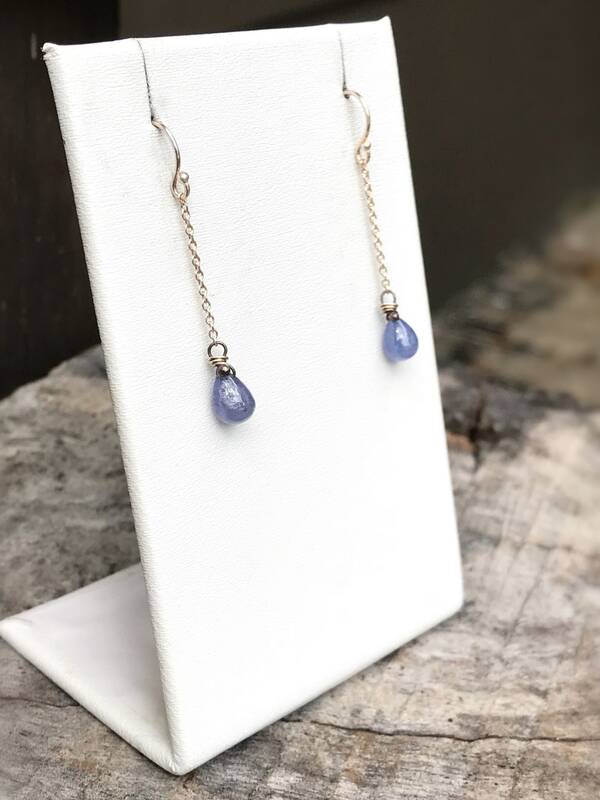 Tanzanite is said to be a high vibration crystal, sometimes called the "stone of the indigo ray." Thought to promote intuition and communication, connection to higher self and inner harmonizing.